Republic Moving and Storage is a Leader Among Corporate Relocation Companies. Republic Moving and Storage may be headquartered in beautiful Chula Vista, CA in sunny Southern California, but we are not bound by state borders. This means Republic Moving and Storage is a leader among corporate relocation companies providing employee relocation services anywhere in the world. We provide corporate relocation services between major market cities across the U.S. and internationally for relocation. With over 60 years of corporate and residential moving services, we have all the skills to assist you with any of your corporate moving needs. At Republic Moving and Storage our ability to consolidate and streamline shipments in key areas enables us to provide our customers with prompt, professional and affordable service. Unlike other corporate relocation companies we know that every corporate customer has their own unique moving requirements, some dictated by strict moving policies. Company administrators reputations are on the line every day and careers depend upon controlling costs and securing the highest quality service available for employee relocation. Because of this we provide all of our corporate customers with the highest level of relocation services. Our dedicated corporate moving professionals will assist you throughout the entire moving process from helping you choose the most efficient moving services to settling in after your move. The personal attention that we provide our customers sets us apart from other corporate relocation companies. All corporate customers are assigned to a personal Moving Management Representative that will guide them through the relocation process. Simplified pricing, packing, loading and hauling are just a sampling of the corporate services we offer. 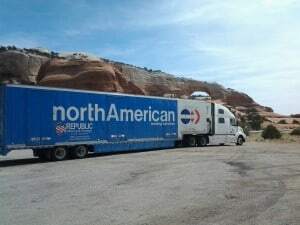 Rest assured that no matter where you are in the world, Republic Moving and Storage will handle the details from start to finish. To learn more about how we became a leader among corporate relocation companies or to speak with one of our moving consultants please contact us today.